Picture a classic London townhouse and you'll probably have an image of The Devonshire in mind. Beautifully elegant, this Georgian gem graces a quiet street just around the corner from Paddington Station, and a short stroll from the grassy glades of Hyde Park. 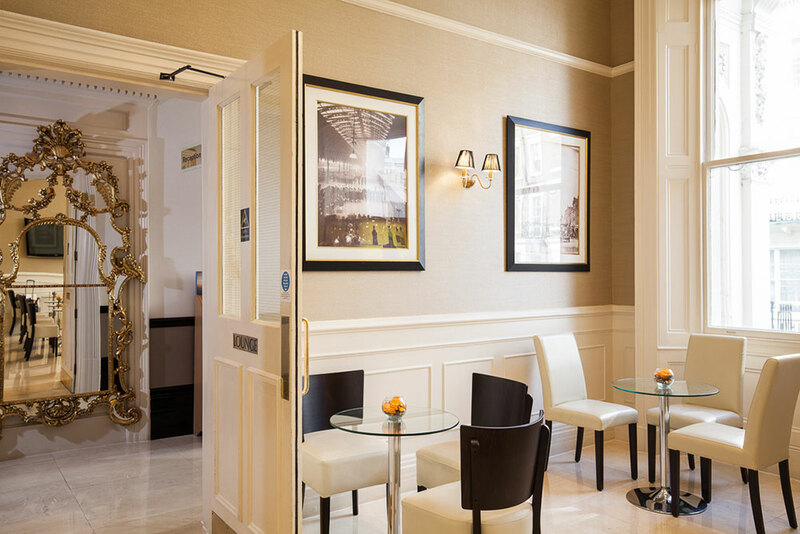 Step inside and you'll feel instantly relaxed, with calming neutrals and warm wood details defining the just-refurbished rooms and suites, replete with every contemporary comfort. Microwaves add convenience for guests who love staying in, together with a full amenities list and, of course, complimentary WiFi. Freshly prepared each morning, breakfast is served just across the street at The Devonshire's sister hotel, and you'll find a fitness centre here too, or an inviting bar for the less energetic. 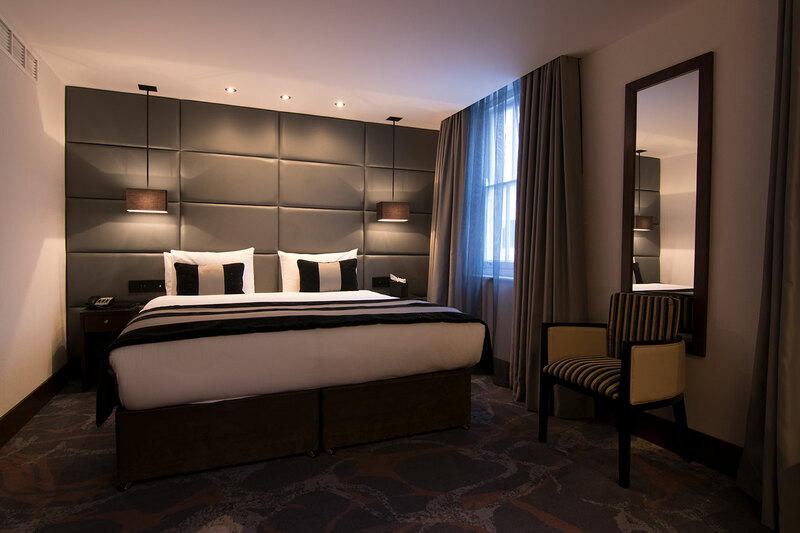 Whether a long or short stay, everything you need is here, in one of London's best locations. One of the first underground rail services in London, London Paddington has since grown to become to one of the biggest commercial and tourist hubs of the city. 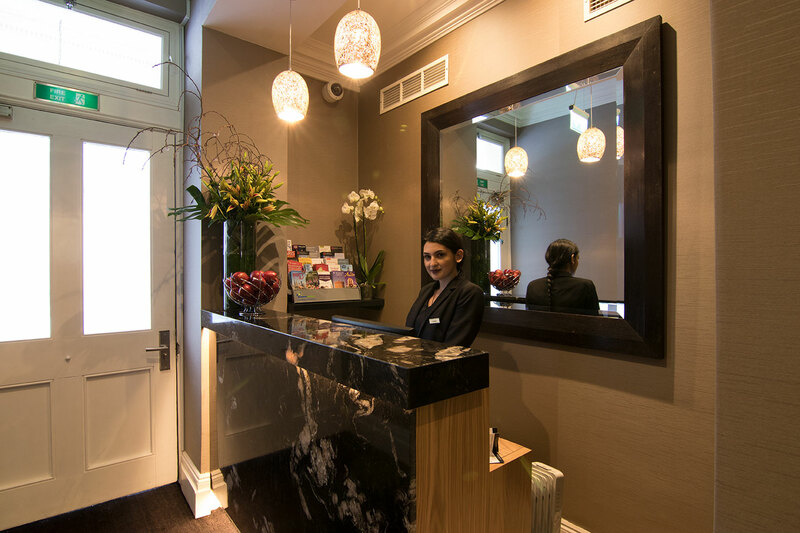 A short walk away from our hotels, the station offers services to various destinations. Address: Gerrard Street, Westminster, London, W1D 6JN. Nearest Underground Stations: Leicester Square and Charing Cross Tube Stations. Address: Westminster, St Margaret Street, Westminster, London, SW1A 0AA. Nearest Underground Stations: Westminster Tube Station and St Jamess Park Tube Station. Eye Address: London Eye, Riverside Building, County Hall, Westminster Bridge Road, London SE1 7PB. Telephone: 0870 5000 600. Nearest Underground Stations: Waterloo and Charing Cross Tube Stations. Address: Kensington Gore, London, SW7 2AP. Telephone: 020 7589 3203. Nearest underground Station is South Kensington. Address: Outer Circle, Regents Park, London, NW1 4RY. Telephone: 020 7722 3333. Nearest Underground Stations: Camden Town, Baker Street Station, Regents Park Tube Stations.